The last creation of Poussin was the cycle “Seasons”. Four paintings from this cycle Poussin created for the Duke of Richelieu, the nephew of Cardinal Richelieu. Each season, Poussin decided in the form of a novel, choosing a suitable Bible story for this. Each picture corresponds to a special color scheme: “Spring” is made in shades of green, “Summer” – in golden yellow, “Autumn” – in gray-brown, “Winter” – in silver-steel. 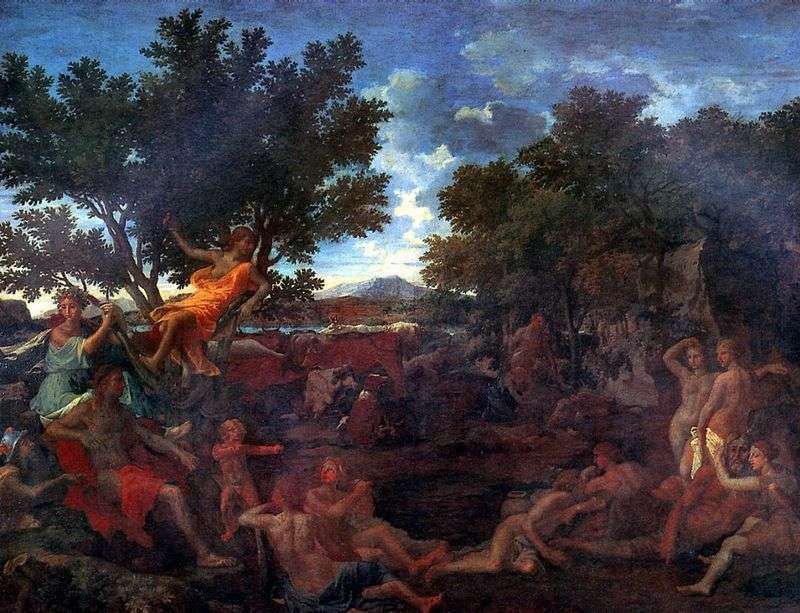 After the “Seasons” series, Poussin set about one more film, Apollo and Daphne, but gave it to his customer unfinished, explaining to him that he had no strength left to work on this canvas. Description and meaning of the painting Apollo and Daphne by Nicolas Poussin.